The Freeport-McMoRan Copper & Gold Foundation will match employee contributions of $25 or more, up to an annual maximum of $40,000. The first $1,000 contributed per eligible nonprofit organization will be double matched and any amount above $1,000 will be single matched, subject to the annual maximum. All permanent, full-time or part-time employees, and full-time consultants (as designated by Human Resources) employed by Freeport-McMoRan Copper & Gold (FCX), including any division, subsidiary or affiliate of the company. Members of the Corporate Board of Directors. As a 501-C3, the Silver City Gospel Mission is eligible, appreciative and participates in this program. How Do I Do Contibrute? If you are a Freeport-McMoRan employee, first make a donation to The Gospel Mission. Then, click the button below to apply for the Employee Matching Gifts Program or to check the status of your matching gift! Drop us a line after you have applied and we will go online and verify it. Thank you! 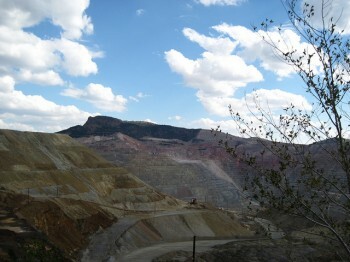 Share the post "Freeport-McMoran Matching Gifts Program"